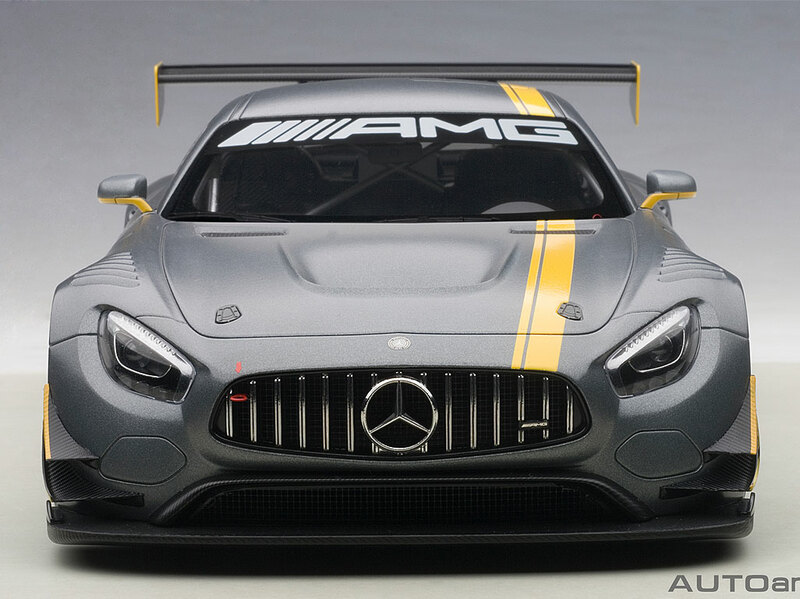 LeMans prototype racers press the envelope of styling and power to compete at the highest levels of the World Endurance Championship that includes the famous 24 Hours of LeMans in France. Audi has dominated that race for the past decade and Porsche has had its run too. 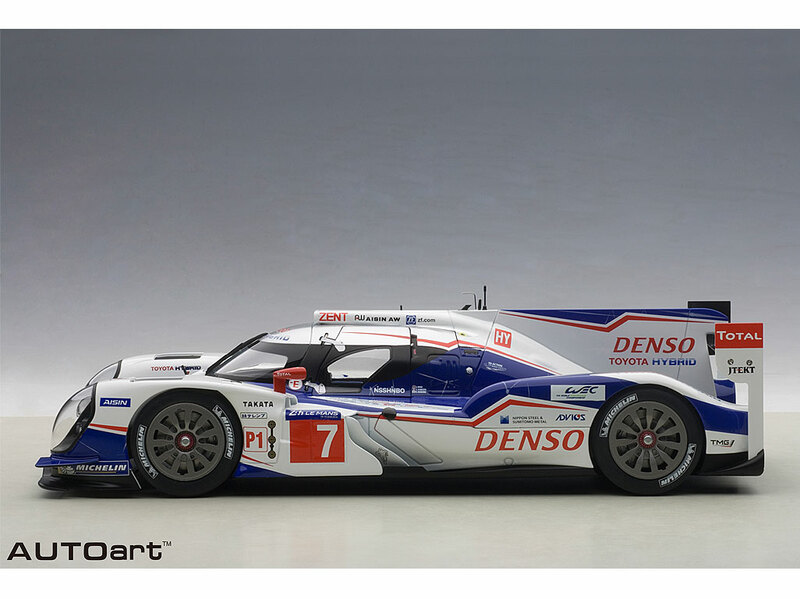 But a few years back Toyota decided to enter the fray and take on the big boys with its TS030. 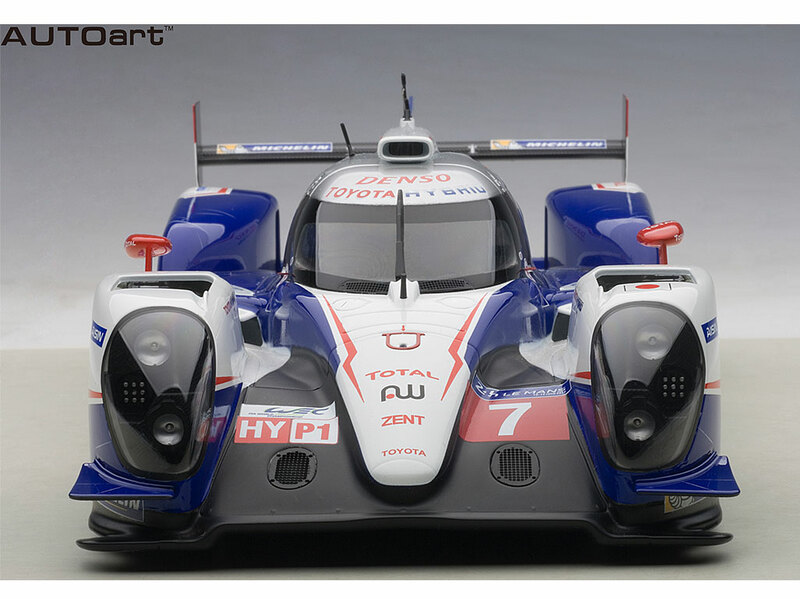 But it took two years to work out the bugs and the hybrid model TS040 won the WEC manufacturer’s championship in 2014. 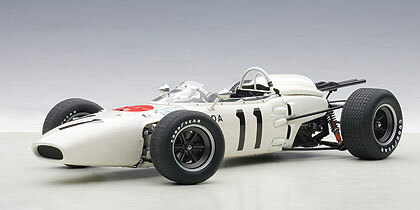 Autoart has created another masterful reproduction in 1/18 scale, here with the No. 7 Toyota racer that was driven in 2014 by noted endurance drivers, Alexander Wurz, Kazuki Nakajima, and Stéphane Sarrazin. Toyota’s foray into prototype racing for the endurance title started in 2012 with the TS030 hybrid. But it was the TS040 that finally moved the Japanese car maker to the top of the LMP1 podium. The TS040 used a naturally-aspirated V8 that featured a supercapacitor system, or energy-retrieval system, on the rear and front axle to give it 58% more power than its predecessor. 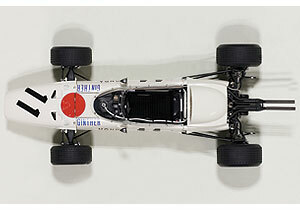 This also gave the racer 4-wheel-drive, a major benefit in an endurance car that often has to race in lousy weather. I have to admit that European rally cars, the little high-powered mini racers with big engines and wings to match, fascinate me visually. 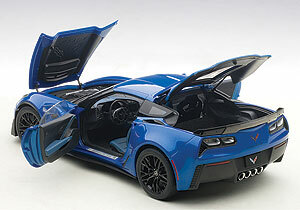 They look tough and aggressive and fast and fun. 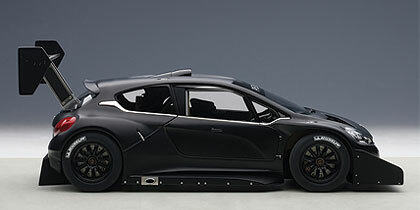 Now Autoart releases a sharp all black 1/18 scale version of the Peugeot 208 T16 that was raced up Pikes Peak here in the U.S. in 2013. 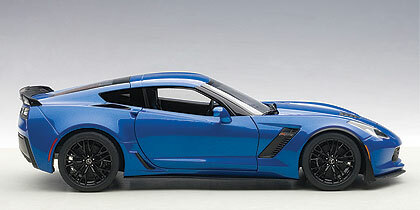 It looks like it rocks with a giant wing on an equally giant pedestal and with tires so fat they look like they’d hold on to any road even if the car were upside down. This is a beautiful little beast! Here’s the story on it. 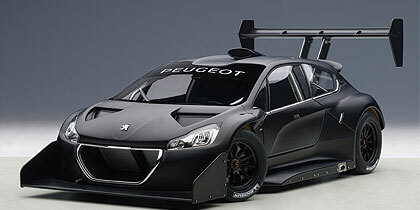 Rally superstar Sebastien Loeb (9 titles) was chosen to run this custom built Peugeot up Colorado’s Pikes Peak in 2013 to challenge the record time of 9:46.164 set a year earlier by Rhys Millen. Loeb crushed it, making the 19.9 km run in 8:13.878. British sports cars used to rule the world’s road courses with the likes of Jaguar, Aston Martin, Austin Healey, Triumph, and Lotus slicing through corners to give their drivers a thrill. Speed wasn’t always so essential, but handling was key. 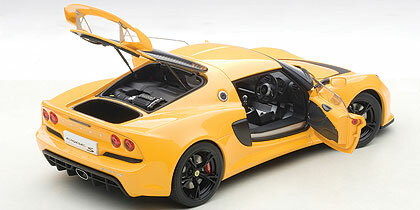 Lotus always has prided itself in creating lightweight, crisp handling cars. But today speed and power are more important than in the formative 1950s and ‘60s, and that’s what makes the Lotus Exige S a highly sought after sports car. 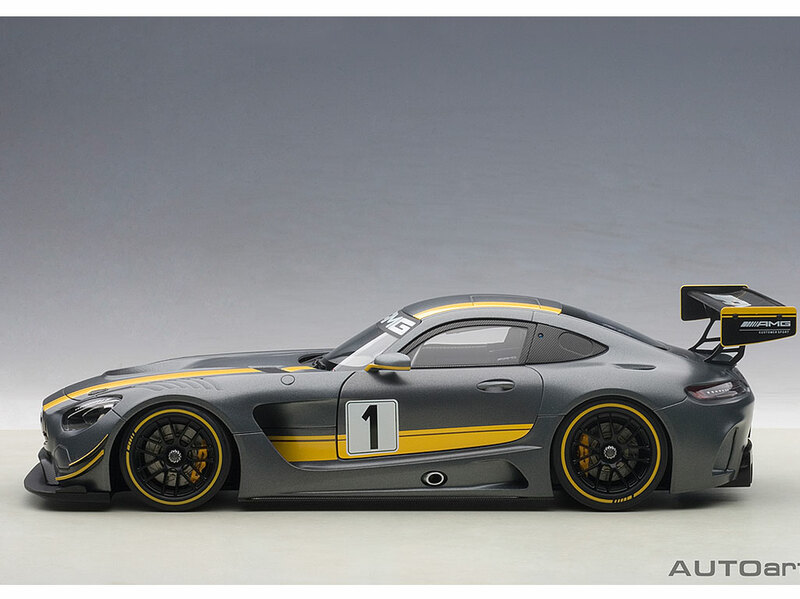 Now Autoart creates a beautiful one in 1/18 scale, the sample car being a bright yellow with black interior. 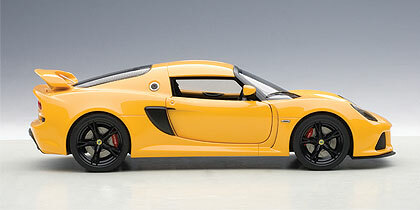 However, the Exige S also is available in red or white; all retail for $130.